As we grow up, we start to realize that there were many critical moments in our childhood that helped define who we are and how we see the world presently. As with all things in life, some had it better and some had it worse, but being able to cope with how you were raised and making peace with any unresolved issues is an incredibly healing process. This is something that we all go through at some point, but the children of narcissistic parents have it especially bad. They've been brainwashed into believing that they are the ones who are crazy or "not all there" by their parents. So, many of them have low self-esteem because they're always doubting their own reality. If your parents ever pleaded with you to stay with them because they absolutely needed you or claimed they couldn't live without you, they did so because of narcissism. They don't like when you can live a life completely independent from them, so they guilt you into doing things for them. Narcissistic parents withdraw quickly when they don't get what they want or feel slighted. One method they enjoy using is the silent treatment. If you often felt as though you needed to earn their love by being at their beck and call, you were raised by narcissists. The narcissistic parent likes having leverage to hold over you so they can use it to their advantage when they need to. Lying and manipulating, these parents were always using circumstance to set up various pitfalls for you. If you never knew when to really trust your parents, they were narcissists. These parents were never concerned about how you felt, what you cared about or what you were going through, because they were too preoccupied with their lives to really take any interest in yours. Narcissistic parents always make sure that their family image is pristine. They want other families to be jealous of all of the love and success their family has, even when their family is completely dysfunctional. You were obviously aware of what they were doing, but never spoke out because you knew it would be bad news for you. 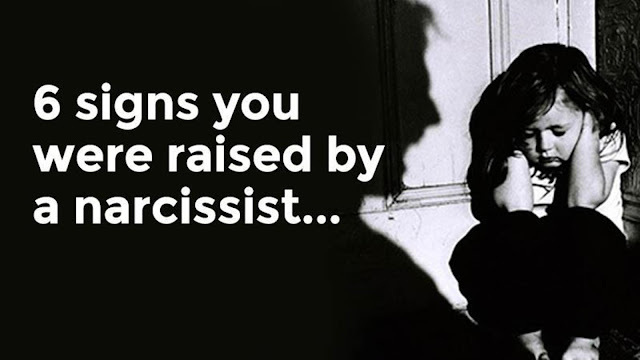 Narcissistic parents often degrade and harass their children on a routine basis. They like to pull down your spirits by constantly reminding you of your flaws and insecurities. These parents like to humiliate their children. What Scientists Just Found Deep In The Ocean Is Seriously Unbelievable. I’m Still In Shock!